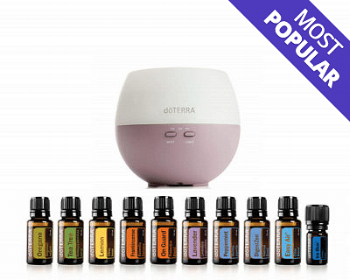 If you're interested in getting started with some oils the most popular option is open a wholesale account with doTERRA which gives you wholesale pricing - the same amazing price that I pay too! Once you have an account you have complete control of which essential oils, supplements or natural self-care products you wish to purchase from your online store. The best way to save is to purchase a kit where the membership cost is included in the purchase. The oils are then delivered directly to your door, you can also accumulate points for ordering and get monthly free oils! Ready to start saving 25%- 55% off retail prices? With any enrolment you’ll receive 25%-55% off retail prices for a full year, no minimum orders required. Plus with any enrolment kit I will also send you a welcome package with some free rollerballs to make your own blends, an educational app to use for safety and usage information on the go and a free bottle of Wild Orange 🍊. You’ll also receive access to our members only community where we host classes, an Online Oil Camp, frequent education series, monthly giveaways and more! Ready to order right now? Follow these easy steps. Select either the enrolment kit you would like (and waive the joining fee) or choose your single oils and add your 'Welcome Introductory Packet for $35 (this is your membership). Also, make sure to add a bottle of 'fractionated coconut oil' to your order so you can start to making some blends in your rollerballs and apply the oils safely to your body. 🌈 Mood management for when anxious feelings hit or you need help getting to sleep. This kit includes 15ml (approx 250 drops) versions of Lavender, On Guard, Lemon, Tea Tree, Digestzen, Easy Air, Peppermint, Frankincense, Oregano and a 5ml Ice Blue. You also receive a Petal diffuser which can run for 1, 2 or 4 hour settings, turns off when it runs out of water or time and also works as a night light if you want. A diffuser plays a huge part in how you use oils on a daily basis to support energy, immunity and stress relief, sleep and more. All enrolment kits also include 25%-55% of retail for 12 months plus access to my community and all it's perks! This kit has all the same 10 oils as the Home Essentials Kit but in the smaller 5ml size bottles (approx 85 drops). Instead of a diffuser it comes with the Smart & Sassy Metabolic Blend which is designed to help boost your metabolism and manage hunger cravings, At $174 + postage this is a great budget friendly option to get you going. I would still recommend getting a diffuser at some stage to get the maximum out of your oils, but this kit will definitely get you going. Plus you start straight away on 15% loyalty rewards, a much higher rewards program than other kits which means you not only get wholesale prices but each month you purchase more oils you will receive 20% back to spend on more free product, this will go up to 20% after three months and 25% after 6 months then 30% after 9 months saving you a total of 55% off the recommended retail price. For more understanding and terms and conditions of our loyalty rewards program read this document. Get one of these to me asap! !